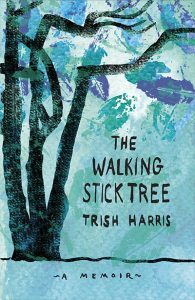 Someone told me about Trish Harris’ The Walking Stick Tree – a memoir by a woman diagnosed with Juvenile Rheumatoid Arthritis when she was six – a week ago, and within a couple hours I had bought it and was half-way through. 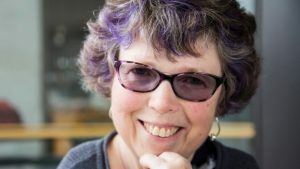 It’s unusual to find a book that confronts chronic pain and disability so plainly, and rarer still to find one that does so in a New Zealand context. The Walking Stick Tree is an episodic journey interspersed with critical essays about pain, loss, illness and identity. As much as I was interested in Trish’s early experiences of arthritis, the essays were particularly valuable. The tone of them was reminiscent of some of Stephanie de Montalk’s work in How Does It Hurt? This is certainly what I have found to be true, in my work sharing my own and other people’s stories of illness or disability. Everyone has their unique challenges, but there are some universal feelings, some identikit frustrations, some shared tremors that do not need to be spoken; the metaphysical nerve pain deep below the surface. Well, of course it bloody is. And, of course, it isn’t. It’s inescapable; everywhere, and yet completely effervescent. Getting at the nature of chronic pain, tapping its source, can be incredibly tricky. To describe it to yourself is a feat – to describe it to anyone else an academic improbability. Steph de Montalk spent a four-year PhD attempting it. I have written and deleted so many sentences that come nowhere close to describing my physical and mental experience. Sometimes, the more I talk about pain, the worse it gets. Trish isn’t in pain any more. She describes this as the disease having “burned itself out.” I don’t know what this means exactly, but as a fellow sufferer of arthritis, I wonder if it will happen for me. Will it be me or the illness that burns out first? I feel kinship with this. As someone who is constantly encouraged not to dwell, not to share too much, to be positive – I want to beg for the space to grieve. For others to accept that I have lost. For them to see that this is my narrative, and I am allowed to own my sadness about how my life has been so viciously changed. She talks of the fight with self-stigma – how to accept disability without that becoming everything you are. I too know this exhaustion. In the last chapters of the book, Trish’s writing becomes somehow braver, stronger, and more lyrical. She shares the tale of doing the Central Otago Rail Trail in a motorised wheelchair. Bureaucracy is a terrible, ongoing, inescapable part of chronic illness and disability. If it’s not WINZ I’m talking to, it’s ACC, it’s another form to fill out, another letter to anxiously rip open. Trish talks about writing multitudes of forms to seek assistance with remodeling a car so she could use it with her wheelchair. “I filled in all the forms: I detailed my life, my finances and my medical condition. On one form, there was a question that made me cry. Not only did it ask why I needed the car and the crane, but it asked how it would make a difference in my life. Telling her story must have done the trick. Trish’s got her car, and she cites that as life-changing. Freedom. A thing so often stolen by pain and disability. It should never to be underestimated. The Walking Stick Tree was published by Escalator Press last month. 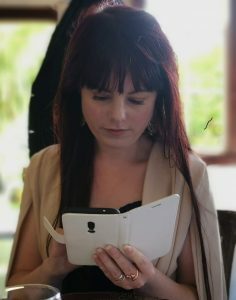 EP is an imprint set up by the Whitireia Creative Writing Programme. This entry was posted in About illness, Mental health by writehanded. Bookmark the permalink.